Codewise, the industry’s first provider of AI-powered online ad measurement and management solutions for digital marketers, recognized by the Financial Times as one of the fastest-growing companies in Europe in 2017 and 2018, today introduced a brand new Voluum subscription Entry Plan and the industry’s first marketplace for advertising offers fully integrated with ad measurement and management functionalities. The new Entry Plan gives digital marketers access to the industry-leading ad tracker and optimizer for just $69 dollars a month, or $49 dollars a month with an annual contract. Traffic Distribution AI, which allows users to analyze the performance of offers, landing pages and paths in real time and automatically redistribute traffic for the best ROI. Anti-Fraud Kit, which allows users to easily identify bot traffic in ad campaigns and helps to block it. Custom Notifications, which allows users to set and receive alerts for important campaign events on both desktop and mobile. In addition to the extremely competitive pricing, the new Entry Plan offers Voluum users unmatched reliability, with no server downtime since 2015, and speed, with the industry’s fastest redirects of just 5 ms. Moreover, a cloud-based system guarantees easy setup and assures higher data safety, compared to self-hosted solutions. Offers Marketplace, available now to all Voluum customers, allows users to find, filter, and compare exclusive offers from selected top affiliate networks inside their Voluum accounts. The Offers Marketplace also enables marketers to apply for the best offers and easily add them to the tracker. This results in a much quicker and smoother workflow in one place, with no need to leave the Voluum ad tracking platform. To facilitate a fast, effortless start, Codewise will extend its highly praised Customer Care services to Entry Plan clients, through full support to migration from competitive solutions and through group onboarding sessions, live webinars, and 24/7 chat management. Voluum has recently been awarded Best Tracker and Best Affiliate Software titles in the 2019 AffiliateFix Affiliate Industry Awards. To learn more about new Voluum subscription plans, please visit https://voluum.com/pricing. Founded in 2011, Codewise is the industry’s first provider of AI-powered online ad measurement and management solutions for digital marketers. In 2017 and 2018, Codewise was recognized as one of the fastest-growing technology companies in Europe, according to the Financial Times, Statista and Deloitte. Codewise’s solutions help thousands of businesses in 190 countries track, measure and optimize billions of dollars of advertising spend, boosting their efficiency and ROI. Codewise is currently tracking over $2.5 billion of digital ad spending for some of the world’s largest brands and ad agencies, including $400 million of ad spend on Facebook. Learn more at www.codewise.com. Voluum is a full-stack marketing platform for all your performance analytics, tracking, optimization, and media buying needs. The suite consists of the Voluum Tracker, the trusted leader in cross-screen performance tracking, and the integrated Voluum DSP, a next-generation native advertising Demand-Side Platform. Voluum is the go-to tool for optimizing and scaling your campaigns, featuring anti-fraud filtering, whitelisting and an outstanding reporting speed. Powered by a robust proprietary database, Voluum has served thousands of SaaS customers in over 190 countries worldwide since September of 2014. Learn more at www.voluum.com. Codewise, the industry’s first provider of AI-powered online ad measurement and management solutions for digital marketers, today announced that it has been recognized as one of the fastest-growing companies in Europe in the latest FT 1000 report for the third year in a row. Published by the Financial Times in partnership with Statista, the FT 1000 2019 report lists the companies in 31 European countries that have achieved the highest annual growth rates in revenue between 2014 and 2017. Bootstrapped from the moment it started its operations in 2012, Codewise has been continuously growing thanks to relentless product innovation designed around the ever-changing needs of digital marketers. This ensured Codewise’s place in FT 1000 ratings in 2017, 2018 and now in 2019 as one of the fastest-growing companies in Europe. According to the FT 1000 2019 report, Codewise’s revenue growth rate from 2014 to 2017 was 266 percent. Moreover, Codewise is among the select 8 percent of companies that were included in the FT 1000 ranking for three years straight. The latest FT 1000 list of Europe’s fastest-growing companies is available here: https://www.ft.com/reports/europes-fastest-growing-companies. Founded in 2011, Codewise is the industry’s first provider of AI-powered online ad measurement and management solutions for digital marketers. In 2017, 2018 and 2019, Codewise was recognized as one of the fastest-growing technology companies in Europe, according to the Financial Times, Statista and Deloitte. Codewise’s solutions help thousands of businesses in 190 countries track, measure and optimize billions of dollars of advertising spend, boosting their efficiency and ROI. Codewise is currently tracking over $2.5 billion of digital ad spending for some of the world’s largest brands and ad agencies, including $400 million of ad spend on Facebook. Learn more at www.codewise.com. “Digital marketers are tired of the abundance of data. They want to be told what to do, and ideally, they’d like the platform to do it for them.” And this is exactly what AI can do. PALO ALTO, Calif. – Jan. 22, 2018 – Codewise, the industry’s first provider of AI-powered online ad measurement and management solutions for digital marketers, recognized by the Financial Times as one of the fastest-growing companies in Europe, announced today that it has enriched its Voluum ad tracking platform with an Anti-Fraud Kit, becoming the only advertising analytics platform that includes a comprehensive solution for detecting ad fraud. According to Juniper Research, ad fraud in 2018 alone caused an $ 18 billion loss to advertisers and is expected to reach $ 44 billion annually by 2020. The enrichment of Voluum Tracker with the Anti-Fraud Kit now allows digital marketers and media-buying professionals to protect their advertising budgets from invalid traffic and to protect the reputation of the brands that they serve. Through a holistic set of 10 metrics, ranging from fast clickers and unrecognized devices to library robots, marketers can now easily and instantly detect which publishers are selling suspicious visits and clicks and stop buying from them. This results in maximized protection of advertising budgets and cleaner and higher ROI campaign funnels, and therefore in increased payouts from advertisers. Voluum’s Anti-fraud Kit analyzes in real time millions of ad clicks and looks into statistical patterns that might indicate that specific segments of traffic are artificially generated. The results of this complex analysis are delivered in comprehensive reports that are seamlessly combined with performance metrics. Ultimately, thanks to Voluum, marketers gain precious actionable intelligence around their media buying quality in one place. Before the introduction of the Anti-Fraud Kit, marketers had to invest in third-party invalid traffic solutions in addition to their analytics measurement and management platform, resulting in significantly higher costs and in a waste of time on non-seamless integrations. Last, marketers are now equipped with precise fraud reports and thus with undeniable evidence in support of charge-back procedures against fraudulent publishers. To learn more about Voluum’s Anti-Fraud Kit, please visit https://voluum.com/anti-fraud-kit. Krakow, November 28, 2018 – Codewise, the industry’s first provider of artificial intelligence (AI)-powered online ad measurement and management solutions for digital marketers, recognized by the Financial Times as one of the fastest-growing companies in Europe in 2017 and 2018, today announced that it has joined the European Internet Forum (EIF) as a business member. Founded in March 2000 by Members of the European Parliament (MEP), EIF’s mission is to help provide European political leadership for the development of European and multilateral public policies responsive to the political, economic and social challenges of the worldwide digital transformation and to support MEPs from all political groups to ensure that Europe remains at the forefront of this transformation, benefitting fully from it through enhanced global competitiveness and social progress. Founded and led by Members of the European Parliament (MEPs), EIF is a cross-party, not-for-profit association with the mission to help provide European political leadership for the development of European and multilateral public policies responsive to the political, economic and social challenges of the worldwide digital transformation and to support MEPs from all political groups to ensure that Europe remains at the forefront of this transformation, benefitting fully from it through enhanced global competitiveness and social progress. EIF membership includes a variety of leading companies and organizations, which together encompass a broad range of interests and actors in the vanguard of internet and ICTs. EIF focuses on issues and actions at the top of the political agenda and on emerging future trends at both the European and the global level. Through a continuous program of live debates and special projects featuring open and inclusive dialogue, EIF creates a space for a greater understanding of the digital world. Learn more at www.eifonline.org. Founded in 2011, Codewise is the industry’s first provider of AI-powered online ad measurement and management solutions for digital marketers. In 2017 and 2018, Codewise was recognized as one of the fastest-growing technology companies in Europe, according to the Financial Times, Statista, and Deloitte. Codewise’s solutions help thousands of businesses in 190 countries track, measure and optimize billions of dollars of advertising spending, boosting their efficiency and ROI. Codewise is currently tracking over $2.5 billion of digital ad spending for some of the world’s largest brands and ad agencies, including $400 million of ad spending on Facebook. Learn more at www.codewise.com. To learn more about Voluum’s Traffic Distribution AI, please visit https://voluum.com/traffic-distribution-ai/. Voluum is a full-stack marketing platform for all your performance analytics, tracking, optimization, and media buying. The suite consists of the Voluum Tracker, the trusted leader in cross-screen performance tracking, and the integrated Voluum DSP, a next-generation native advertising Demand-Side Platform. Voluum is the go-to tool for optimizing and scaling your campaigns, featuring anti-fraud filtering, whitelisting and an outstanding reporting speed. Powered by a powerful proprietary database, Voluum has served thousands of SaaS customers in over 190 countries worldwide since September of 2014. Learn more at www.voluum.com. PALO ALTO, Calif., Oct. 17, 2018 /PRNewswire/ — Codewise, the industry’s first provider of AI-powered online ad measurement and management solutions for digital marketers, recognized by the Financial Times as one of the fastest-growing companies in Europe, today announced it has named Dr. John Malatesta, 46, as Chief Executive Officer, succeeding Robert Gryn, 32, Codewise’s founding CEO. Malatesta retains his previous roles of president and chief revenue and marketing officer. Gryn has been named Codewise’s Chairman of the Board. The new executive appointments are effective immediately. As an internationally recognized business leader, Malatesta brings over 22 years of business management experience in the software industry, where he held multiple senior leadership roles at several SMEs and Fortune 500 companies. John Malatesta is Doctor of Economics and is a member of multiple prominent international business organizations. Prior to this appointment, he held multiple leadership and executive roles at IBM, Accenture, Sun Microsystems, Oracle, Kaspersky Lab, Schneider Electric and Socialbakers. Founded in 2011, Codewise is the industry’s first provider of AI-powered online ad measurement and management solutions for digital marketers. In 2017 and 2018, Codewise was recognized as one of the fastest-growing technology companies in Europe, according to the Financial Times, Statista and Deloitte. Codewise’s solutions help thousands of businesses in 190 countries track, measure and optimize billions of dollars of advertising spend, boosting their efficiency and ROI. Codewise is currently tracking over $2.5 billion of digital ad spending for some of the world’s largest brands and ad agencies, including $400 million of ad spend on Facebook. Learn more at codewise.com. LONDON, Sept. 25, 2018 /PRNewswire/ — Codewise, the industry’s first provider of AI-powered online ad measurement and management solutions for digital marketers, recognized by the Financial Times among the fastest-growing companies in Europe in 2017 and 2018, today announced that it has enabled support for Push Ads on the Zeropark ad exchange platform. Push Ads are a high performing native-like ad format delivered on mobile and desktops devices in the form of a push notification, a highly-engaging clickable alert that redirects its recipient to the promoted offer. Until now, Zeropark ad exchange had offered its customers three types of advertising formats: full-page pop ads, parked domain redirects and in-app ads. By introducing Push Ads, Zeropark is now vastly expanding its inventory enabling advertisers to add to the marketing mix a new, highly efficient channel for attracting and retaining customers. And with over 300 million users already subscribed through publishing sites, with the introduction of Push Ads, Zeropark is now set to become the world’s largest provider of push advertising. One of the major advantages of Push Ads is user experience. Based on set preferences, the recipient of the ad is served non intrusive relevant offers even when the recipient is not browsing. Meaning, advertisers can surgically target a highly engaged audience and generate an instant response. Already dominant in the e-commerce, travel and service industries, Push Ads, deliver unparalleled click-through rates, way beyond 10%, thus easily outperforming traditional ad formats. Push Ads are an efficient choice for any campaign, from brand awareness to new client acquisition and retention. Zeropark is a performance traffic exchange that connects advertisers, affiliates and media buying teams with high-performance traffic sources in real time. It offers hand-picked traffic from parked domain redirects, Mobile App and Premium Pop, now also including Push Ads. It features robust targeting options and powerful optimization tools bolstered by machine learning mechanisms, all in a user-friendly interface. Zeropark serves 150 million ad views every day. Learn more at www.zeropark.com. London — August 30, 2018 — Codewise, the industry’s first provider of AI-powered online ad measurement and management solutions for digital marketers and one of the fastest-growing companies in Europe, today announced that it has joined the World Economic Forum as a Forum Member. Robert Gryn, CEO and founder of Codewise, will address the most pressing issues facing the global society with the widespread introduction of Artificial Intelligence during a panel session at the World Economic Forum’s Annual Meeting of the New Champions on September 19. During the panel discussion “Hidden in the Algorithm”, Robert Gryn will share his insights into the emerging algorithmic challenges facing our society. The panel session will be held on September 19 from 17.30 to 18:30 at the Meijiang Convention and Exhibition Center in Tianjin. Together with Frida Polli, co-founder and CEO of Pymetrics, Inc., Joanna Bryson, Computer Science Professor at the University of Bath, and Will Knight, Senior Editor at the MIT- Technology Review, Robert Gryn will discuss how societies can mitigate the risk of algorithmic bias and discrimination in the age when algorithms power everyday digital consumption from product recommendations to credit decisions and talent recruitment. The Annual Meeting of the New Champions is the foremost global summit on innovation, science and technology, promoting entrepreneurship in the global public interest, and hosted by the World Economic Forum. Often referred to as “the Summer Davos”, it will be held in Tianjin, China on September 18-20, 2018. “We are excited to join the World Economic Forum, the leading international organization committed to improving the state of the world by engaging business, political, academic, and other leaders of society. Codewise has amassed a wealth of expertise in a number of fields, including Artificial Intelligence and other areas of Computer Science, technological innovation, media, advertising and entrepreneurship. We are happy to contribute our energy, knowledge and experience to the cause of making our world a better, happier and safer place for ourselves and the generations to come” – said Dr. John Malatesta, President and Chief Revenue Officer at Codewise. To learn more about the World Economic Forum’s Annual Meeting of the New Champions, please visit https://www.weforum.org/events/annual-meeting-of-the-new-champions. The World Economic Forum is an independent international organization committed to improving the state of the world by engaging business, political, academic and other leaders of society to shape global, regional and industry agendas. Incorporated as a not-for-profit foundation in 1971 and headquartered in Geneva, Switzerland, the Forum is tied to no political, partisan or national interests. LONDON, Aug. 21, 2018 /PRNewswire/ — Codewise, the industry’s first provider of AI-powered online ad measurement and management solutions for digital marketers, recognized by the Financial Times among the fastest-growing companies in Europe in 2017 and 2018, today announced that it has launched the addition of Smart eCPA to Zeropark, Codewise’s ad exchange platform. Utilizing Artificial Intelligence, the new feature will allow Zeropark’s users to automatically optimize their ad campaigns to a predefined eCPA goal. Zeropark provides thousands of performance marketers and website publishers around the world with a platform connecting both sides and allowing them to buy and sell advertising space on a Real-Time Bidding (RTB) basis. The AI-powered Smart eCPA feature is more than just an alternative cost model in Zeropark. When enabled, Zeropark’s machine learning algorithms will work on optimizing Smart eCPA campaigns to a predefined target cost per acquisition. “Smart eCPA assesses 16 dimensions in real time and picks the most effective data points for optimization, creating unparalleled, bespoke targeting for each campaign. These dimensions include operating system version, internet connection type and speed, device type and more,” said Mateusz Drela, Business Development Director at Zeropark. Campaign optimization is a crucial, yet mundane and time-consuming part of online advertising. Smart eCPA simplifies this process to just one click of a button, optimizing at a speed and scale unreachable for humans, due to its capability of analyzing millions of data point combinations. Thanks to Smart eCPA, marketers no longer have to spend a large part of their day on complex manual optimization, but can instead focus on scaling up their media buying venture and run simultaneously more campaigns than ever. “We’ve already been successful in implementing AI in our ad tracking tool – Voluum, helping thousands of digital marketers across agencies and brands get the most out of their online ad management efforts thanks to the real-time automatic matching of traffic to the estimated best offers and landing pages and to their best combinations. We’re also extremely proud to have our colleague, Dr. Paweł Rzeszuciński join the European AI Alliance launched by the European Commission. The introduction of Smart eCPA in Zeropark further signifies Codewise’s belief that the future of advertising lies in Artificial Intelligence,” said Dr. John Malatesta, President and Chief Revenue and Marketing Officer at Codewise. LONDON, July 12, 2018 /PRNewswire/ — Codewise, the industry’s first provider of AI-powered online ad measurement and management solutions for digital marketers, recognized by the Financial Times among the fastest-growing companies in Europe in 2017 and 2018, today announced that it launched a next generation of its industry-leading Voluum Tracker platform, enriched with multiple new features and with a wide range of new customizable usage parameters and services. Unique to the AdTech industry, the rich set of new features includes AI powered Traffic Distribution Optimization, Collaboration Management and SSL Certificates and Direct Tracking Pixel based Performance Optimization. Direct Tracking Pixel based Performance Optimization: a tracking method which allows marketers to track paid and organic traffic without the initial redirect. It also opens the door to ad exchanges, ad networks or any other sources (such as Facebook and Google Ads) requiring non-redirection type of tracking, and at the same time, speeds up the campaign funnel, which is especially important for digital marketers who run mobile campaigns. SSL Certificates based Performance Optimization: enables optimization of the redirect flow and increases the performance of online campaign by securing the connection of the campaign funnels. Digital and performance marketers can now buy traffic and run campaigns on all desktop and mobile browsers and reduce all the possible interruptions in the redirect flow. The new set of add-ons Usage Parameters and Services are designed to enable digital marketers to resiliently customize and cost-efficiently scale their ad measurement, management and optimization activities as their business grows. Services include a wide variety of resources ranging from Onboarding, to Technical Support, and Account Management, tiered from standard to VIP handling. To learn more about Voluum Tracker new plans, please visit https://voluum.com/pricing/. Founded in 2011, Codewise is the industry’s first provider of AI-powered online ad measurement and management solutions for digital marketers. In 2017 and 2018, Codewise has been recognized as one of the fastest-growing technology companies in Europe, according to the Financial Times, Statista, and Deloitte. “I believe that in today’s world every company needs to step up and be a responsible corporate citizen by acknowledging this critical threat and starting to implement technology solutions against it. This is especially true for our industry, Advertising Technology, which suddenly found itself at the forefront of the global fight for democracy.” Codewise CEO Robert Gryn shares his takeaways after speaking alongside Anders Fogh Rasmussen, Tony Blair, Joe Biden and many other exceptional world leaders at the Copenhagen Democracy Summit. LONDON, June 18, 2018 /PRNewswire/ — Codewise, the industry’s first provider of AI-powered online ad measurement and management solutions for digital marketers, announced today that Dr. Paweł Rzeszuciński, Data Scientist at Codewise, accepted the invitation to become a member of the European AI Alliance, a forum launched by the European Commission. Since Dr. Paweł Rzeszuciński will join the Alliance within his personal capacity, he will act independently and in the public interest, as per the rules set by the European Commission. Following the signing of the Declaration of cooperation on Artificial Intelligence by 24 EU Member States and Norway, the European AI Alliance, as announced by the European Commission on April 25 2018, is a multi-stakeholder forum engaged in a broad and open discussion of all aspects of Artificial Intelligence development and its impact on the economy and society. The European AI Alliance is aimed at seizing the opportunities of AI, reinforcing Europe’scompetitiveness and establishing the ethical guidelines on the development of the AI. The Commission will present ethical guidelines on AI development by the end of 2018, based on the EU’s Charter of Fundamental Rights, taking into account principles such as data protection and transparency, and building on the work of the European Group on Ethics in Science and New Technologies. To help develop these guidelines, the Commission will bring together all relevant stakeholders at the European AI Alliance. The foundation of the European AI Alliance represents a first step towards an EU-wide approach to AI. By establishing clear guidelines on AI ethics, the Commission seeks to increase consumers’ trust in AI-driven products. Based on the recommendations enacted by the European AI Alliance, the European Commission and participating Member States will present a European plan on Artificial Intelligence by the end of 2018. Founded in 2011, Codewise is the industry’s first provider of AI-powered online ad measurement and management solutions for digital marketers. For years, Codewise has been recognized as one of the fastest-growing technology companies in Europe, according to the Financial Times, Statista, and Deloitte. Codewise’s solutions help thousands of businesses in 190 countries to track, measure, and optimize billions of dollars of advertising spend, boosting their efficiency and ROI like never before. Codewise is currently tracking over $2.5 billion of digital ad spend for some of the world’s largest brands and ad agencies, including $400 million of ad spend on Facebook. LONDON, June 14, 2018 /PRNewswire/ — Codewise, the industry’s first provider of AI-powered online ad measurement and management solutions for digital marketers, announced today that it will sponsor the inaugural Copenhagen Democracy Summit on June 22, 2018. The Copenhagen Democracy Summit is dedicated to strengthening the resolve of the world’s democracies by providing a high-level strategic forum focused on the cause of democracy. Democracy, free trade, election integrity, and technology are the main topics of the Summit. Robert Gryn, founder and CEO of Codewise, will take part in the Summit to share his vision and thoughts on the future of democracy in the rapidly changing digital environment. Joining the “Cyber Security and Democracy” keynote panel, Gryn will share his insights on the latest threats endangering democracy around the world, and the best ways to address and solve them on a global level. Other panelists will include Michael Chertoff, former U.S. Secretary of Homeland Security; Chris Krebs, U.S. Undersecretary of Homeland Security; and Joanna Shields, CEO of BenevolentAI. Moderated by BBC celebrity anchor Stephen Sackur, the keynote panel is open to the press and will be held at the main conference hall from 12:05 to 12:40 p.m. on June 22. The Copenhagen Democracy Summit is hosted by Anders Fogh Rasmussen, the former Secretary General of NATO and Prime Minister of Denmark. Summit speakers include the former U.S. Vice President Joe Biden; the Prime Minister of Denmark, Lars Løkke Rasmussen; the former President of Mexico, Félipe Calderon; the former President of Estonia, Toomas Hendrik Ilves; Facebook’s Vice President for Public Policy EMEA, Lord Richard Allan; the former Prime Minister of Spain, José Maria Aznar; and the former Prime Minister of Canada, Stephen Harper. One of the leading global experts in advertising technology, Robert Gryn is recognized for his deep understanding of the modern digital ad ecosystem, its strengths, weaknesses and future trends. Robert is regularly invited to share his expertise with the world’s leading media companies and advertising platforms, helping them to combat ad fraud and protect their users. SANTA MONICA, Calif., April 26, 2018 /PRNewswire/ — Codewise, the industry’s first provider of an AI-powered ad exchange, DSP, and online ad measurement and optimization platforms for digital marketers, announced today that it was named one of the 50 Most Valuable Brands of The Year 2018 by The Silicon Review. Published annually by The Silicon Review magazine, the list of the 50 Most Valuable Brands includes high-growth companies that are changing the technology industry by introducing breakthrough products and services. Ranked 14th on the list, Codewise is the technology pioneer that developed the first AI-powered ad exchange, DSP, and online ad measurement and optimization platforms available to digital marketers today. Because of the exponentially growing popularity of its products around the world, Codewise was named among the fastest-growing companies in Europe by the Financial Times in 2017 and 2018. “I am excited to see that Codewise has been recognized as one of the most valuable brands of 2018 by The Silicon Review magazine. Our team’s relentless efforts to develop industry-leading ad exchange, measurement, and optimization platforms enabled us to become one of the fastest-growing technology companies in Europe and globally, and I am proud to see that this fact is now being acknowledged by influential publications around the world. Every member of the Codewise team contributed to this remarkable achievement, and we will continue to innovate and develop groundbreaking products and technologies to achieve even greater heights in the near future,” said Robert Gryn, CEO and owner of Codewise. “Being recognized by the Financial Times among the FT 1000 fastest growing companies in Europe in both 2017 and 2018 and now as one of the most valuable brands of 2018 by The Silicon Review demonstrates once again that growing profitably by 16,900 percent since our first year of operations, and by an average of 290 percent annually, is not a coincidence but the outcome of reverse engineering the entire company around the needs of our customers. Our team leverages constant customer input to drive unabated product innovation and customer success excellence, ensuring a tight match between clients’ expectations and product values. Our unconditional dedication to this blueprint naturally leads to customer adoption and satisfaction and results in exponential revenue growth,” said Dr. John Malatesta, President and Chief Revenue and Marketing Officer at Codewise. The full profile of Codewise as one of the 50 Most Valuable Brands of The Year 2018 published by The Silicon Review can be found at http://thesiliconreview.com/magazines/the-place-where-talented-people-thrive-and-produce-great-products-codewise. LONDON, April 24, 2018 /PRNewswire/ — Codewise, the industry-first provider of AI-powered ad exchange, DSP, and online ad measurement and optimization platforms for digital marketers, recognized by the Financial Times as one of the fastest-growing companies in Europe, announced today the appointment of Dr. John Malatesta as the company’s first President. John Malatesta will report to Robert Gryn, CEO and owner of Codewise and a member of the Forbes Technology Council. John Malatesta, a Doctor of Economics and a member of the Forbes Agency Council, has held multiple senior leadership roles at Fortune 500 companies and high-growth startups during his 22-year career in the software industry. In his new role, he will be responsible for the strategic and operational direction and management of all Codewise departments and for the full P&L. He will also continue to serve as Chief Revenue and Marketing Officer at Codewise. London, April 12, 2018 – Codewise, the industry-first provider of AI-powered ad exchange and online ad measurement and optimization solutions for digital marketers, has been recognized as one of the fastest-growing companies in Europe in the latest FT 1000 report. Published by the Financial Times in partnership with Statista, FT 1000 lists the companies in 31 European countries that have achieved the highest annual growth rates in revenue between 2013 and 2016. After being named the 2nd fastest-growing company in Europe in the 2017 FT 1000 report, Codewise continues its rapid growth this year, ranking 53rd out of 1000 fastest-growing companies included in the FT 1000 report in 2018, with a growth of 1,923%. According to FT 1000, Codewise is also one of the top-5 fastest-growing AdTech companies in Europe. “I am excited to see that Codewise has been recognized for the second year straight as one of Europe’s fastest-growing companies. Our company’s inclusive and bureaucracy-free culture that empowers every employee to achieve their maximum potential and fosters uninterrupted innovation has delivered once again. Every member of our team had an important part to play in achieving this success, and I am incredibly honoured to lead such an exceptional company.” said Robert Gryn, CEO and owner of Codewise. The latest FT 1000 list of Europe’s fastest-growing companies is available at https://ig.ft.com/ft-1000/2018. Santa Monica, Calif., March 29, 2018 – Codewise, a leading provider of ad exchange and ad measurement and optimization platforms, recognized by the Financial Times as the 2nd fastest growing company in Europe, today announced that its CEO and founder Robert Gryn has been accepted into the Forbes Technology Council, an invitation-only community for world-class CIOs, CTOs and technology executives. Robert Gryn joins other Forbes Technology Council members, who are hand-selected, to become part of a curated network of successful peers and get access to a variety of exclusive benefits and resources, including the opportunity to submit thought leadership articles and short tips on industry-related topics for publishing on Forbes.com. London, February 21, 2018 – Codewise, a leading provider of ad exchange and ad measurement and optimization platforms, recognized by the Financial Times in 2017 as the 2nd fastest growing company in Europe, announced the appointment of Dr. John Malatesta to Chief Revenue and Marketing Officer. John is reporting to the CEO and Founder, Robert Gryn, and is a member of the Executive Committee. In his role John will be responsible for the sales and marketing go-to-market execution and for the full set of revenue streams. John brings over 22 years of international experience in the software industry, in both the SME and enterprise segments, where he held multiple senior leadership roles. John is a doctor in Economics and a member of the Forbes Agency Council. Prior to this appointment he held the role of Chief Marketing Officer and Executive Vice President Telesales and e-Commerce at Socialbakers. You joined Codewise one year ago. Why Codewise and why Poland after 22 years of software experience in Fortune 500 and in other larger companies? Despite its extremely solid technological and product achievements, when I was approached, Codewise was a young company with a virgin opportunity to shape a fully customer-oriented and operational excellence-based organization. I was appealed by this rare chance, so I naturally accepted the mission to evolve in a fully customer-missioned company. And customer orientation is really in the DNA of Codewise from the day it was founded. Codewise at the beginning was a small startup, which had the intelligence to reverse-engineer the customers’ unmet needs, and developed a whole-new category of technology products to satisfy those needs. The current owner of the company, Robert Gryn, was the first customer of this new type of products, and a grand part of the rapid growth of Codewise was driven by building the product based on the inputs from Mr. Gryn and thousands of other customers from around the world. Why Poland after assignments in almost all the continents of the world? Poland has all the makings of success in the IT industry and a tremendous potential to be very competitive on the global market. The academic system in Poland generates yearly a huge reservoir of talented engineers and this has attracted many Fortune 500 and multinational companies, which have created in Poland their EMEA and global technology centers. Thus, Poland provides both education and on-the-job development for thousands of engineers. According to the Kraków Business Centre, Krakow alone has an academic staff of 12,000 individuals, including 2,400 professors and yearly some 160,000 students, of which 40 000 are in engineering studies. Poland as a whole has an outstanding tradition of technical education and sciences, which helps it compare favorably to many much larger countries. According to GUS, over 77,000 technical students graduate from Polish universities every year. While that doesn’t sound like much, for comparison, it is roughly twice the number of people Facebook employs worldwide. So every year, the Universities of Poland graduate enough students to man two Facebooks. And it’s not just the quantity. Foreign employers say they’ve been delighted with the quality of Polish graduates, who leave Universities with a strong base in mathematics and programming. Google, Motorola and IBM are just the biggest names in the rush of Western companies to open development labs in Krakow. I believe that tells you everything you need to know about the country’s global potential. This, combined with a progressive injection of domestic and foreign venture capital, favoured by highly competitive financial and labour market conditions, is a recipe for massive multiplication of successful Polish technology companies. In a nutshell, Poland is ideal for software ventures. But engineering excellence alone, while being a foremost ingredient, is not enough. The Polish Tech ecosystem needs more international expertise and knowledge of foreign markets to channel the engineering potential into solid and sustainable business models. I hold that Poland will succeed very quickly also in this area, as the Polish culture is extremely friendly, welcoming and open to intellectual cross-pollination, making it pleasant and natural for expats to feel quickly at home and integrate. Codewise, con sede en Cracovia, Polonia, tiene herramientas de Inteligencia Artificial y Blockchain con las que busca dar certeza a los anunciantes sobre su gasto en publicidad digital. If you want to read the full, raw and uncut story behind Codewise written by Rob Gryn, here it is. You won’t read the truth anywhere else. Today, we are launching a refreshed look and feel for both our products. This change comes as we grow from a small Polish startup to an international 160-person company that has become the second fastest-growing company in Europe (Financial Times). That is not everything. Now, we are taking things to yet another level with the upcoming official launch of our third and most ambitious undertaking. We are proud to finally be launching a product that has been in the works for over two years. At Dmexco, we will present the new media buying capabilities of Voluum. The platform offers unprecedented native media buying possibilities from the biggest exchanges coupled with state-of-the-art automated optimization. Our current testers are already seeing massive success. Following the Dmexco show, we will be gradually rolling out access to the public. If you are interested in more information or would like to sign up, please check VoluumDSP.com. Furthermore, we are continuing to improve the integration of Voluum and Zeropark, and you will see more and more added value when utilizing our two platforms together. Codewise is the second fastest-growing company in Europe according to Financial Times. The FT1000 lists the 1,000 companies in Europe with the highest percentage growth. Between 2012 and 2015, Codewise achieved a 13,052% revenue growth with CAGR equal to 408,5%. We are honored and humbled by this recognition. Hopefully, we’ll see even more Polish companies on next year’s list. A follower of his life on Instagram will say: born with a silver spoon in his mouth. The streets will throw in some hate, mention his ‘rich daddy.’ The barely 30-year-old creator of Codewise’s success will add something else — about the bitter taste of nootropics, short dreams about gambling, and tedious self-conquest. The cover shows the gold-plated face of the article’s main character. And then there are the fairy-tale images from his life. What is this? Barely the tip of the iceberg. This will not be an introduction to a story about a young multimillionaire who is always flashing his perfect teeth and who wakes up every morning under sheets stuffed with hundred-dollar bills. The tip of the iceberg means that all that glitters is not gold. That the Instagram sessions are only bits and pieces taken out of context. That the water in the iceberg covers persistence, luck, talent, hard work, and ingenuity. That there are also sharks in the cold waters, which are a part of being the golden child of Polish business, as some media started to call him when Robert Gryn entered the elite group of the richest Poles. “I tend to be extreme in life and business. It’s sometimes good and sometimes very bad. I think about whether there is snow in Zermatt to go heliskiing, charge my batteries, and be creative in the company. I don’t care about politics, I have no idea who influences what. But I do know what it’s like to pay a big price for stress and how to deal with anxiety and years of insomnia,” says Robert Gryn. He does not want us to describe him as “beautiful, young, rich, living life to its fullest.” He wants us to simply go under the golden mask to see the human being. He first opened more before the media in the autumn of 2016 when he talked about his Codewise, which handles online marketing. He had two goals. The first one was to inspire his peers, to show them that it’s possible. And, after his company moved to a high-end building in the centre of Kraków, he wanted Poland’s top computer experts. “I suddenly started getting a lot of phone calls, e-mails, congratulations, invitations. But I really don’t need acclaim, I get irritated with tabloid articles about me and quotes taken out of context. I just saw an article about me online on Kozaczek. It was complete nonsense. It ticks me off. But the branding campaign did the trick, we have no trouble recruiting, some great people are applying, and I know that our team are capable of doing great things in the world of technology and marketing,” Robert Gryn assures. There is one main problem with Robert Gryn and it’s not about the colourful selfies in social media, which are admired by the businessman’s tens of thousands followers. The operations of his company are very puzzling. Codewise sees ‘online marketing’ as a verbal shortcut reducing the long deliberation about the nuances and nooks of the online advertising world. “You can’t just put it in a few words. Honestly? It took me years to understand all the mechanisms and I know that I’m working with people who often know more about what we do and how we make our money,” admits Robert Gryn. In 2016, his company had PLN 132 million in revenue and PLN 30 million in profit. It will be even more this year. Where does it all come from? Let’s try to shed some light on the numerous streams, which collect hundreds of millions of dollars from all kinds of advertisers and which produce the advertisements on our computer and cell phone screens. Zeropark is a branch that brings in 80% of Codewise’s revenue and funds a second project — Voluum, which is based on a monthly fee for software as service (SaaS). After a few transformations, Zeropark was able to hit the market bull’s eye as it turned into a platform for carrying out and purchasing advertising campaigns in forms of pop-up windows and mobile advertising on the top advertisement markets (not Poland). The service redirects advertisements to inactive websites. The one who offers the best price and efficiency wins. But these advertisements are often borderline Internet, like contests with prizes such as tablets for leaving personal information or installation of various mobile applications, e.g. Uber or Facebook. Zeropark wins out because it is one of the first in the world to offer RTB (real time bidding) to connect owners of websites (including so-called empty domains) and those with marketing money (media agencies). This process requires efficient technology to handle online traffic, effective databases, and a skilled sales staff – Gryn, who spends hundreds of thousands of dollars a year at technological fairs, is one of the best. Voluum may be responsible for only 20% of the revenue, but its margin makes it a goose that lays golden eggs, which is supposed to give another boost to Gryn’s businesses. It is a platform for management, analysis, and optimisation of online advertising campaigns in networks like Zeropark. And the numbers in question are gigantic: over 250 billion redirections a month on Zeropark alone. “We want to launch a new function soon, the Voluum DSP. It’s a very risky project, but it will open the door to a market worth $200 billion a year,” says Robert Gryn, who – according to his own admission – knows nothing about programming. He handles vision. We are sitting in his office. There is an impressive aquarium behind him filled with lazy tropical fish. But the head of the chief of Codewise, who is sitting on a Vitry chair (everyone at the office has one) is filled with sharks – business sharks. DSP is supposed to allow for purchase of campaigns in advertising networks on a mass scale, on cells as well. The problem is that in order to make money and show a high conversion rate to the clients you have to know how to separate false advertisement traffic generated automatically. If this is done (and this is the reason for bringing the top specialists to Kraków), Codewise should quickly exceed revenue of PLN 400-500 million. There is more fish to eat in a bigger aquarium. “I keep thinking about where we are going to be in a year, two, or three. The situation is dynamic and it is hard to say which development path the online marketing world will take. I know that I want to be in places where most of my clients come from. The plan is to open a serious office in California before the end of the year. California winters sound good,” the businessman smiles. He has little bond with Kraków. Sure, he has a comfortable penthouse here, some friends, some favourite places. He likes to leave the city and visit the Alps to ski in fresh snow, the Tatras for hours of running, or the tropics for freediving. He was born far from Małopolska, near Oxford, to a family of Poles who had been associated with Western Europe for a long time. In the 1990s, his father was building the foundations of Ericsson in Poland. Robert Gryn lived in Warsaw for years and attended a prestigious American school in Konstancin. Banana youth, some will say. His friends from teenage times include the sons and daughters of expatriates and the elite of the world of business and politics of the Third Republic of Poland. But his most important companion was no one influential – it was himself and his bipolarity. “I suffered from insomnia ever since I was a child. A psychiatrist diagnosed me with anxiety, there is always a sound in the back of my head. When I do something, it absorbs me in 110%, completely. And the effects soon come,” the businessman admits. For Robert Gryn, the turn of the century was the first stage in a serious fascination with the digital world. He borrowed money from his mother to buy domains on GoDaddy and made some extra money by having some fun with Photoshop. “When I was 13, I made something like PLN 600 for designing a logo for the company of one of my father’s friends,” he laughs and recalls the times when he gained fame as Gusto. “Gusto was my nick in the online shooter Counter Strike. Me and my brother were the first to play it in Poland. We convinced dad to buy us a superfast connection and quickly established a clan, which included the e-sports champions of today like Neo of Virtus.pro,” says Robert Gryn. He learned the tactics of the game and is now successfully using it in business. He stayed away from models, he charged when he saw a chance, he balanced on the edge to make his way behind the enemy. The game consumed a lot of time, but it made him famous: Gusto was so good that many Polish servers would blacklist him because they thought that he was cheating. He ultimately gave up on the game. He was not interested in training and the chess of war. “We play at the office every Friday. We have a map of our own office in Counter Strike. I love this game, but it’s no longer an addiction,” the businessman says. He is very receptive to addition. Before he went to college at the renowned British Surrey, he discovered forex platforms. “I convinced my father to lend me 1000 euros, even though he thought that it was wasted money. I was certain that I would quickly multiply it. I reached 4 thousand euros, I took bigger risks, and of course I lost it all,” the 30-year-old recalls. Then there was online gambling — poker. It gave me a sense of immediate pay-out for results. And they were poor results. Robert Gryn quickly lost all of the money he got from his parents for the start of college. He would wake up sweating from dreams of cards being dealt on the screen. He came to his senses after a pleading-apologetic phone call to his mother and thanks to the understanding of his parents. He would still play poker every now and then, but he would only use the money he had earned himself. “My ex-girlfriend would say that I was spoiled. She told me to get a job so I served hot dogs for a month at the Odeon cinema in Guildford near the campus. I still can’t eat wieners in a bun,” the owner of Codewise admits. During his third year on business and marketing, Robert Gryn wanted to find an outlet for his budding entrepreneurship. He decided to import and sell mp3 players. The plan failed and he ended up in Warsaw as a translator for TP SA. After a few months, he started working for Orange, which was when he gave up on corporations. All it took was reading some of the corporate intranet. He quit after two days with the belief that this was a world where his personality could effectively and spectacularly burn out. A friend told him to try out at Elephant Orchestra of Jan Barta, a Czech Internet visionary who used to be the owner of the most domains in the world. The owner of Codewise was always attracted to new technologies and the digital world. He used to be addicted to shooters. Now he prefers to play for big stakes in the world of digital marketing. “It was the most important experience in my life thus far. I learned the secrets of online marketing, I left as the head of company operations,” stresses Robert Gryn. He pretty much developed and improved what he had learned from Jan Barta in Zeropark. The friend who got him to go to Elephant is now the head of Zeropark. Robert Gryn also established WeSave — a group shopping aggregator. Then came the first experiments with affiliation campaigns, cutting own shares from the relations between website publishers and advertisers. He took some risky chances, like sinking money in ineffective campaigns. “It replaced gambling for me, I saw results immediately. I started to work almost nonstop,” recalls Robert Gryn. This is when he met the founders of Codewise, which was initially operating in IT outsourcing: Szymon Niemczura, Rafał Janicki, and Bartłomiej Dawidow. Robert Gryn soon turned from a subcontractor to company partner and provider of most of the cash. His strong character also came out. When he noticed that Codewise’s liquidity was dropping and he was not able to come to an understanding with Niemczura and Janicki, he took over Codewise with Dawidow. It was a psychological and legal battle served cold. With their backs to the wall, the partners sold their shares for 100 thousand dollars. They went on to found Kontakt.io, which is valued at tens of millions of PLN. After a while, Dawidow left Codewise claiming that he was not able to deal with the stress produced by the company. “He told me he was leaving when I was thinking about getting out of the business myself. Our profits reached millions but we were constantly in the game and were paying a measurable price. My love of challenges won in the end and I decided to run Codewise alone instead of selling it,” the businessman says. When he gestures as he takes breaks from applying the gold makeup, you can see his chiselled arms and upper body. Together with the Alpine tan, blond hair, account size, and gold watch on his wrist, we are once again looking at the perfect image of a happy golden boy with no internal struggles in sight. So what’s inside? He took a cold shower before our interview because he was able to get only three hours of poor sleep. For breakfast, he took a few nootropics, so-called smart drugs, which stimulate the brain without the risk of addiction. He washed them down with the currently trendy MCT oil and once again heard the noise in his head. A day like every other. The familiar state of no motivation for business. “I’ve had this feeling for a while. How do I conquer it? I get every day in motion somewhat against myself. I force myself to act step by step and reach the point of full steam ahead,” he explains, although he recently decided to take spontaneous trips to the edges of the world more often. He sleeps better there. He recently visited Hawaii to learn how to dive and hunt holding his breath. He compares it to meditation: when you see a potential victim and incoming sharks underwater, you cannot let your emotions get in the way. You just have to do your thing, not waste oxygen, conquer the recurring throat tightness. When it starts to get really dark before your eyes, that’s the sign. Time to get to the shore of the iceberg. Dostarczane przez Codewise rozwiązania wspierają tysiące firm z całego świata w obsłudze ruchu reklamowego. Jednocześnie, od początku naszej działalności, nigdy nie akceptowaliśmy – i nigdy nie będziemy akceptowali – narażania użytkownika końcowego na jakiekolwiek próby oszustwa. Wraz ze wzrostem popularności naszych produktów kładziemy ogromny nacisk na działania prewencyjne. Weryfikujemy bezpieczeństwo kampanii zarówno narzędziowo, jak i ręcznie. Nad całym procesem czuwa dedykowany temu zespół specjalistów. RiskIQ został uznany za lidera w dziedzinie cyfrowego monitorowania ryzyka przez Forrester Wave. Technologią wspiera się Facebook w wykrywaniu i blokowaniu zagrożeń pochodzących z reklam – podobnie zresztą jak Palo Alto Networks, DocuSign, Box czy duże amerykańskie instytucje finansowe. Jest to największa, najbardziej niezawodna i najszybsza sieć proxy na świecie. Luminati jest używane przez firmy z listy Fortune 500 w celu weryfikacji reklam. Praktyczne zastosowanie Luminati sprowadza się do testowania linków w reklamach poprzez symulowanie możliwych grup odbiorczych. Narzędzie wspierające wykrywanie złośliwego oprogramowania, zagrożeń dla prywatności i weryfikujące jakość reklam. Zatrudniamy specjalistów, którzy wyłapują treści mogące potencjalnie umknąć tym systemom. 70% kont reklamodawców jest ręcznie odrzucanych ze względu na niespełnione standardy jakościowe i standardy bezpieczeństwa. – kampanii przeznaczonych dla grupy docelowej 18+, a dostępnych na stronach nieskierowanych do pełnoletnich użytkowników. Nieustannie wzmacniamy kompetencje w obszarze podnoszenia bezpieczeństwa i pracujemy nad własnymi algorytmami oddzielającymi ruch toksyczny od wartościowego. Robert Gryn jest nową twarzą na liście najbogatszych „Forbesa”. Codewise, spółka, na której dorobił się majątku, powstała jako firma outsourcingowa w branży IT, a sam Gryn nie był nawet jej założycielem. W 2011 roku przyszedł z własnym pomysłem na start-up. Była nim sieć reklamowa ZeroPark, dzięki której agencje marketingowe kupują ruch reklamowy w internecie. Drugi sztandarowy produkt młodego biznesmena to Voluum – oprogramowanie służące do śledzenia i analizy efektywności działań marketingowych w sieci. Udział Gryna w Codewise zaczął rosnąć wprost proporcjonalnie do tego, jak dzięki jego narzędziom przybywało firmie klientów oraz pieniędzy. Choć niewiele osób rozumie, czym zajmuje się jego firma, Robert Gryn, 30-letni właściciel Codewise, prawdopodobnie pojawi się w tym roku na liście 100 najbogatszych Polaków. Będzie na niej najmłodszym milionerem, który samodzielnie dorobił się majątku. Na co dzień jeździ żółtym mercedesem AMG GT S. Na trzydzieste urodziny sprawił sobie prywatny lot na Ibizę. W jego nowym biurze znajduje się potężne akwarium żywcem wyjęte z gabinetów prezesów amerykańskich korporacji. Wolne chwile spędza w efektownych samochodach, samolotach lub śmigłowcach, pływając pośród delfinów albo zjeżdżając na nartach po dzikich zboczach. Na mieszkańców Krakowa spogląda z jednego z największych billboardów reklamowych w Europie, który znajduje się na dawnym hotelu Forum – tam, gdzie swego czasu wisiała kontrowersyjna reklama „Zimnego Lecha”. Mówi im: nie bądźcie korporacyjnymi niewolnikami, tylko dołączcie do najszybciej rosnącego start-upu w Polsce. Czyli do Codewise. Last week, Procter and Gamble’s chief brand officer Marc Pritchard announced that the company would no longer be accepting anything less than 100% transparency from its suppliers. It has been referred to as one of the most important statements made in the advertising industry in decades. As a result other big brands, including O2, have jumped on the bandwagon. In order to achieve 100% transparency, P&G will adopt the standards of the Media Ratings Council (MRC), implement third-party verification and create transparency contracts. While ad tech companies have been talking about these issues for years, it seems that brands have only recently joined the debate and are now acting accordingly. But, what significance does this announcement have on the industry? And will it be the point where brands, agencies and tech companies are forced to make the move? 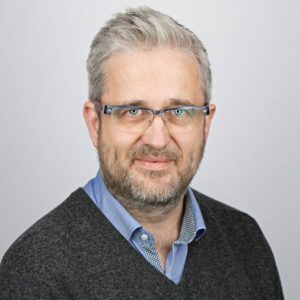 Gavin Stirrat, managing director at Voluum: “As we continue to see more partnerships between anti-fraud specialists and supply platforms, we will start to see brands having a greater understanding of ad fraud. The industry has been reactive to the issue with the Media Ratings Council (MRC) launching its viewability standard in the US and the UK’s trade body initiative JICWEBS focusing increasingly on the issues. On 31 January, the Q3 2016 AA/WARC Expenditure Report results were published, showing a rise of 4.2% in UK ad spend year-on-year – a total of £5.14bn over the quarter. Ad spend is also predicted to grow 3.2% in 2017. Headline growth was driven by a 15.3% increase in internet spend, in turn boosted by a growth of 45.6% in mobile spend. Significantly, the overall growth in year-on-year ad spend occurred, rather surprisingly, in the first full quarter after the vote to leave the European Union. The short-term impact of a Brexit vote was expected to be damaging; and even seven months after the vote to exit the EU was decided, analysts and industry experts are still debating on what the true short-term and long-term impacts will be on the state of advertising in the UK. However, one can look positively on the fact that, even with the post-Brexit uncertainty in the months following the referendum, it was very much business as usual. ExchangeWire hear from industry experts their views on the results of the AA/WARC expenditure report. Is Facebook Really ‘Connecting the World’? Mark Zuckerberg, Facebook founder and CEO, said last week (1 February, 2017): “Our mission to connect the world is more important now than ever. Our business did well in 2016, but we have a lot of work ahead to help bring people together.” This statement followed the release of the social media giant’s financial results for the fourth quarter and full year ended 31 December, 2016. Krakowska spółka jest jedną z trzech najszybciej rosnących firm w regionie EMEA. W czołówce jest także m.in. CodiLime. — Nie potrzebujemy inwestorów, potrzebujemy talentów. Bazujemy na doskonałym produkcie i na trendzie rynkowym. Wzrost rynku reklamy cyfrowej oraz skok w sferze automatyzacji reklamy programatycznej i RTB nakręcają nasz rozwój. Teraz wprowadzamy kolejny produkt związany z reklamą mobilną, który ma nas wynieść na poziom wyżej — ujawnia Robert Gryn, właściciel Codewise, krakowskiej spółki technologicznej, która przebojem wdarła się do czołówki najszybciej rosnących firm na świecie. With mobile rapidly approaching half of digital advertising, the fraudsters that have plagued web advertising are now targeting mobile ads – particularly the “download or app” ads, which have become a cash cow for the ad industry. As advertisers and agencies become more alert to the risk of ad fraud and better at detecting it, they have started to refuse payment and blacklist business when there is evidence of fraud. Some ad platforms are now offering money-back guarantees but this is met with some skepticism by peers. “There are many companies that offer post-impression analytics or cash back guarantees. We believe this is an unacceptable compromise that continues to line the pockets of fraudsters and further damages mistrust in the medium. Największy banner w Polsce — to zawsze robi wrażenie, szczególnie gdy jest to słynna fasada krakowskiego hotelu, na której wisiał niegdyś „Zimny Lech”. „Don’t be a corporate slave” („nie bądź korporacyjnym niewolnikiem”) głosił z plakatu Robert Gryn, prezes i właściciel Codewise. Dalej po angielsku zachęcał, by dołączyć do „najszybciej rosnącego start-upu w Polsce”. O Codewise dotychczas mogło być cicho. Teraz musi być głośno. Trwa rekrutacja, a prezes spółki to gorące nazwisko w świecie nowych technologii. — Nasz cel jest jasny. Chcemy i musimy zatrudniać najlepszych specjalistów na rynku. 100 mln USD przychodów rocznie osiągniemy zapewne organicznie w 2017 r., bazując na wszystkich dotychczasowych produktach. Interesuje nas jednak dużo więcej, szykujemy nowy rynkowy hit — mówi Robert Gryn. Firma Deloitte co roku tworzy ranking najszybciej rozwijających się przedsiębiorstw w Europie Środkowo-Wschodniej. W głównej kategorii ‘Technology Fast 50‘ znalazło się aż 17 firm z Polski, a jedno z krakowskich przedsiębiorstw wygrało całe zestawienie. Coroczny prestiżowy ranking Deloitte najszybciej rozwijających się przedsiębiorstw Europy Środkowo-Wschodniej, w którym znalazło się aż 21 firm z Polski (w tym 17 w głównej kategorii ‘Technology Fast 50’), wygrała krakowska Codewise Sp. z o.o. (działa od pięciu lat w sektorze rozwiązań IT dla marketingu). Rok temu Deloitte umieściło ją na pierwszym miejscu w kategorii ‘Wschodzące Gwiazdy’, a wczoraj otrzymała najważniejszą statuetkę ze wzrostem sięgającym 13 000 procent. Jej dochód operacyjny za 2015 rok wyniósł około 50 tys. euro. – Trzynaście tysięcy procent wzrostu w okresie ostatnich 4 lat i zdobycie pierwszej nagrody w obu kategoriach, to dla nas ważne i budujące potwierdzenie sukcesu, który wspólnie tworzymy w firmie. Moje dążenia i ambicja stworzenia globalnej spółki jest niezmienna i dalej jestem przekonany, że to dopiero początek czegoś naprawdę wielkiego – komentuje Robert Gryn, prezes Codewise. Robert Gryn, the founder of Polish ad tech start-up Voluum, has put his face on the largest billboard in Europe, located in Krakow. The campaign invites job hunters to “Join Poland’s fastest-growing (and sexiest) start-up”, as part of the company’s recruitment drive for technology arm Codewise. The work will run in Poland throughout October. Disruption… innovation… the occasional pair of proudly worn lederhosen. It’s Dmexco time again, and once more the great and the good of the world of advertising technology are descending on Cologne. For some time, Dmexco has been the essential fixture on the global ad tech calendar. But somehow this year feels different. I’ve been going to Dmexco for five years and although the pace of change has always felt rapid enough to justify the tag ‘real time’, this year it feels like whilst the industry is still buoyant, it is facing some profound challenges. Here are the five biggest concerns that I think are causing our industry sleepless nights as we board the plane for Germany. When you click the ‘I Accept Cookies’ button or continue to use this website (e.g. by interacting with its interface or closing this notification) without changing the settings of cookies, you consent to our collection of cookies.